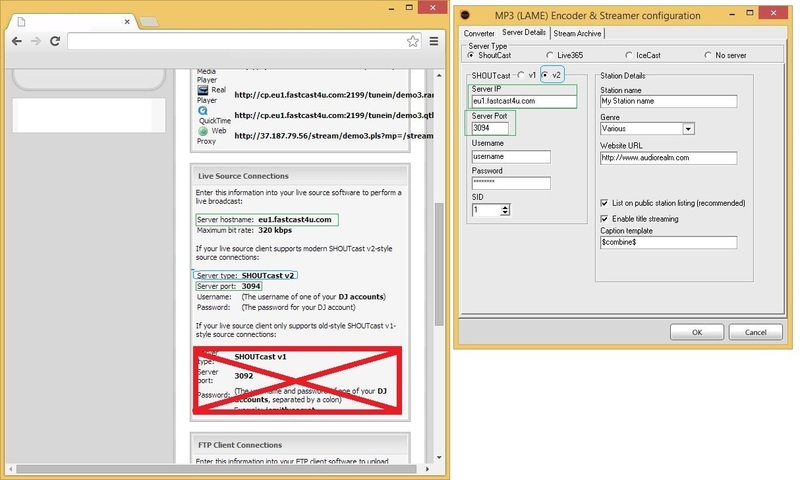 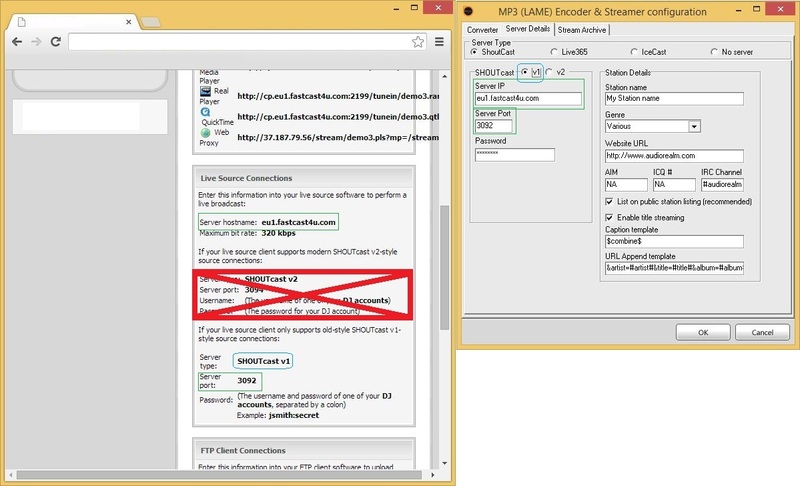 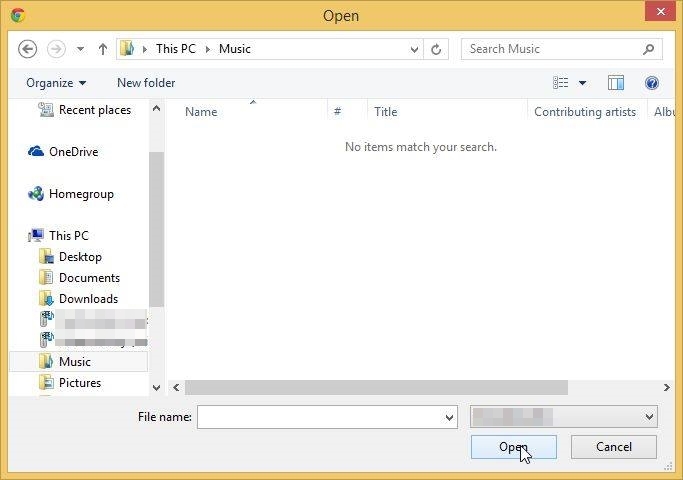 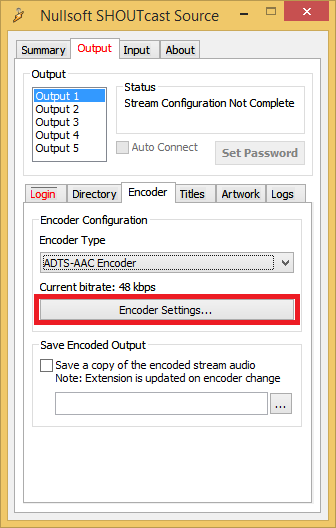 How to start uploading audio files to the server? 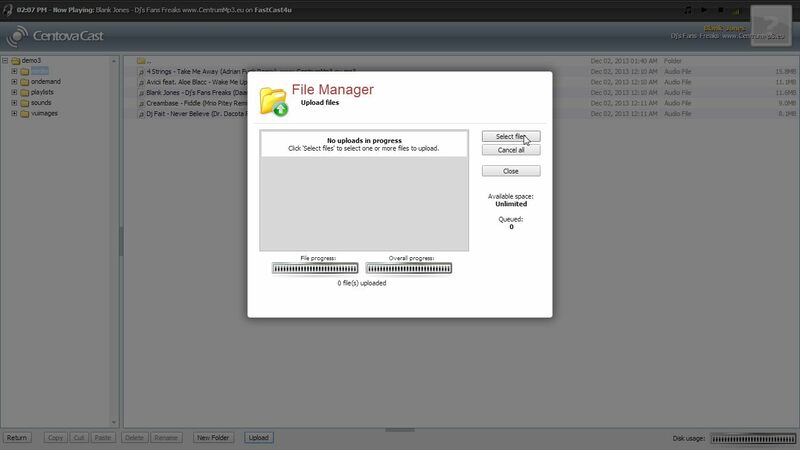 How to use FTP Software for quicker file upload? 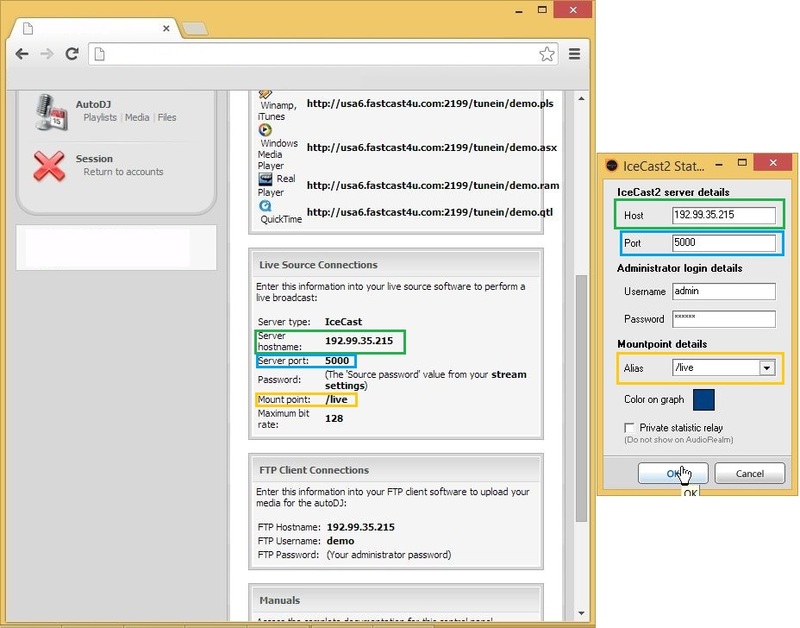 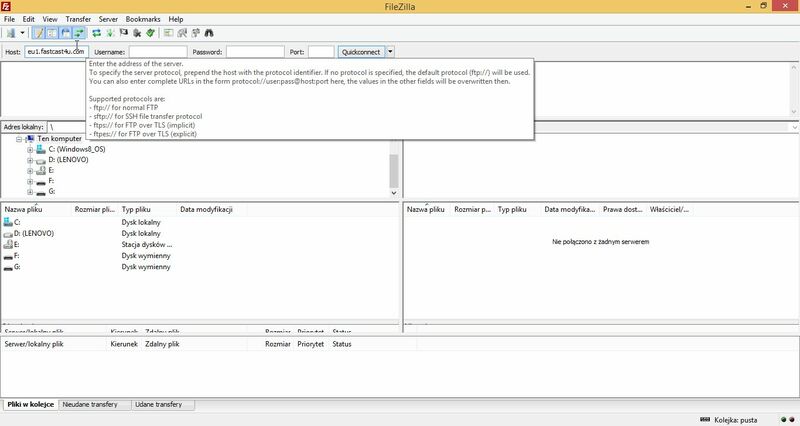 Centova Cast panel has an in-built file managed but you can upload files quicker by using FTP software like Filezilla. Enter your Centova Cast login password (also called as an administrator password, it can be checked in Settings of your Centova Panel). 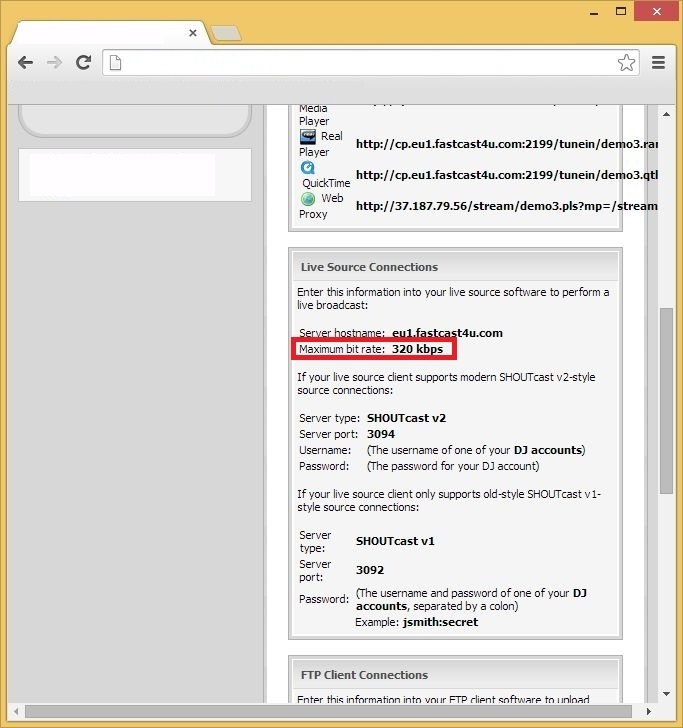 IMPORTANT: Leave the port number blank or enter "21". 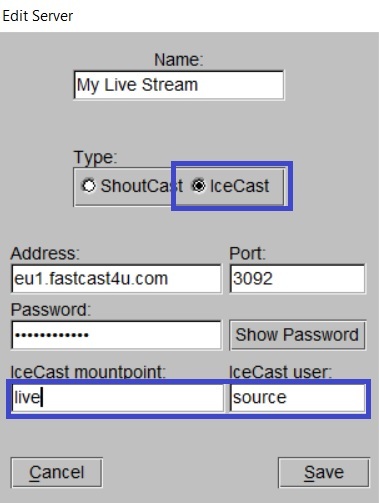 Do not use the port number used for live broadcasting software. 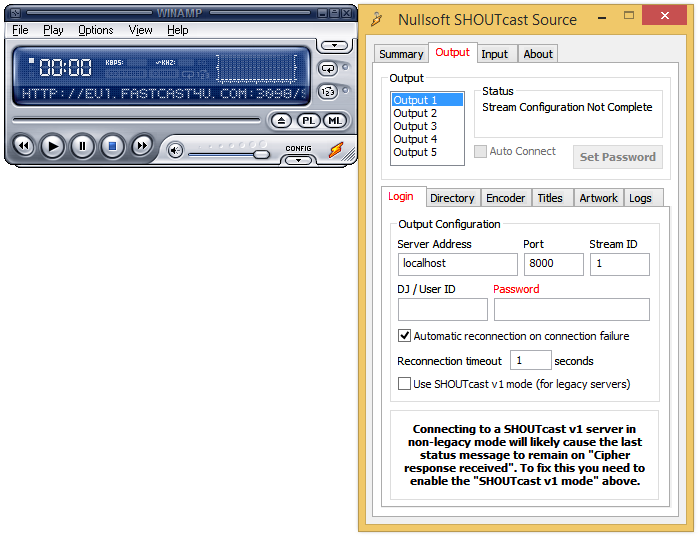 How to configure Winamp with SHOUTcast DSP Plugin? 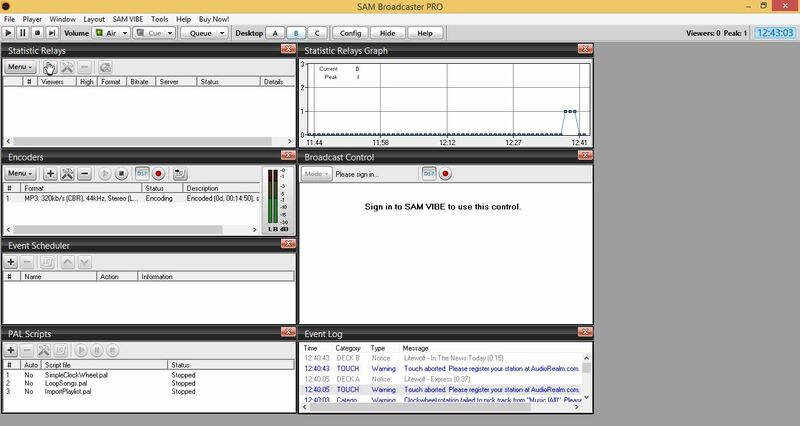 How to configure SAM Broadcaster? 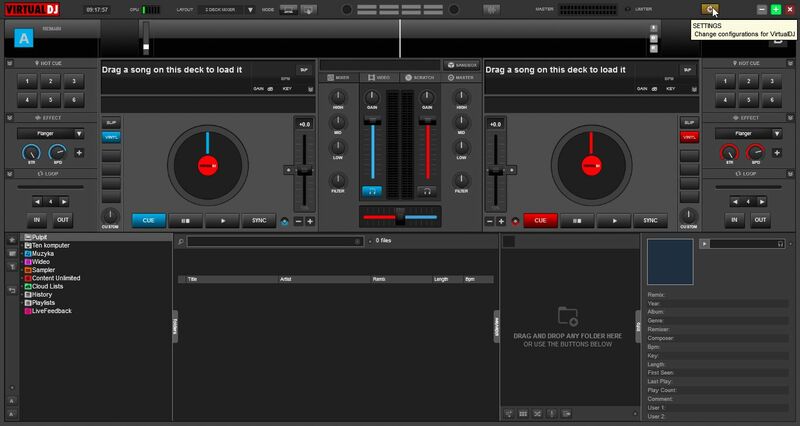 How to configure Virtual DJ? 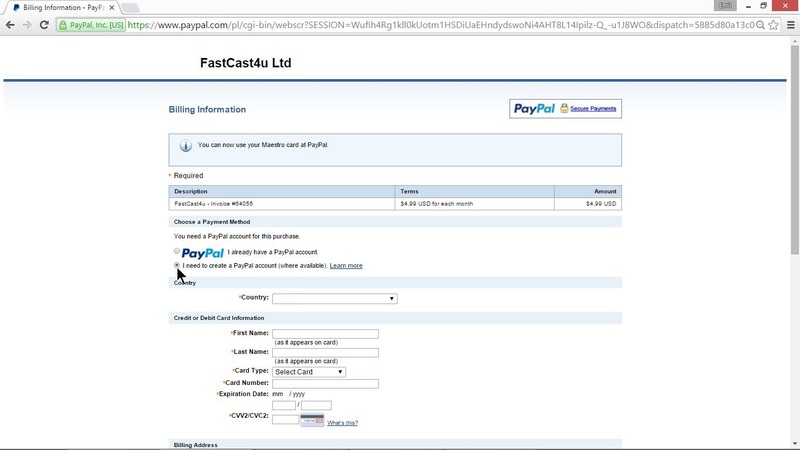 How to create a PayPal Subscription? 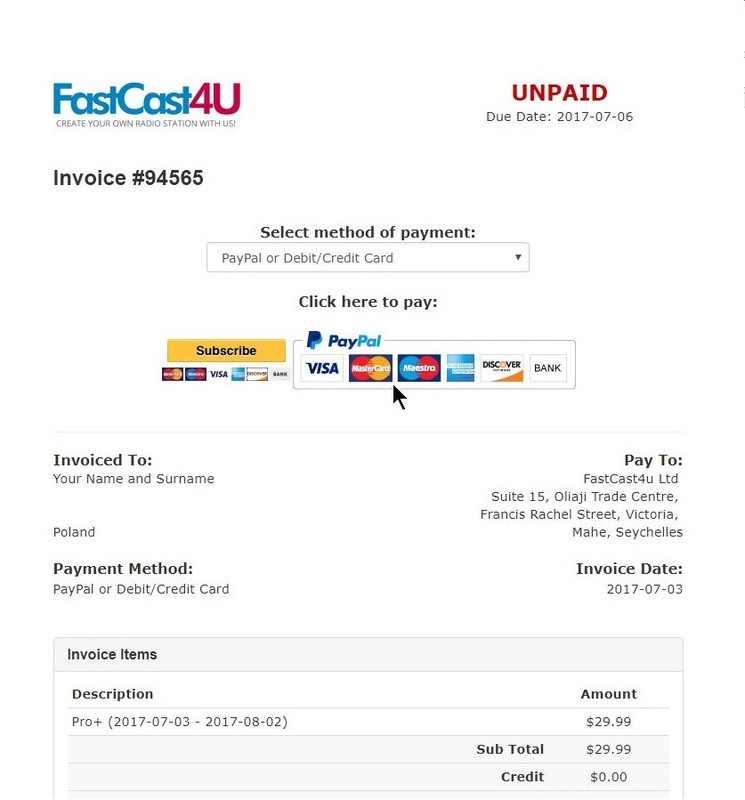 How to pay with a Debit/Credit card? 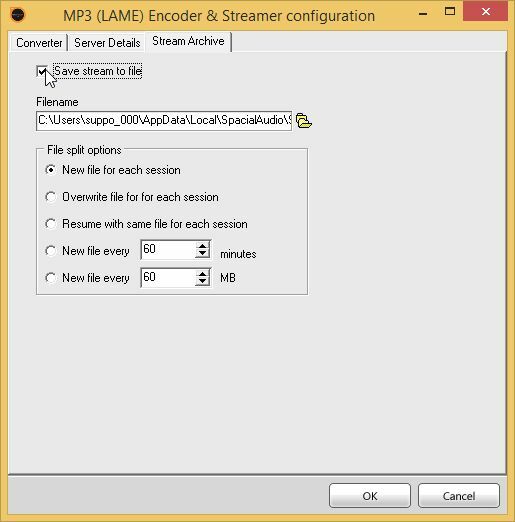 How to create a playlist and what are the playlist types? 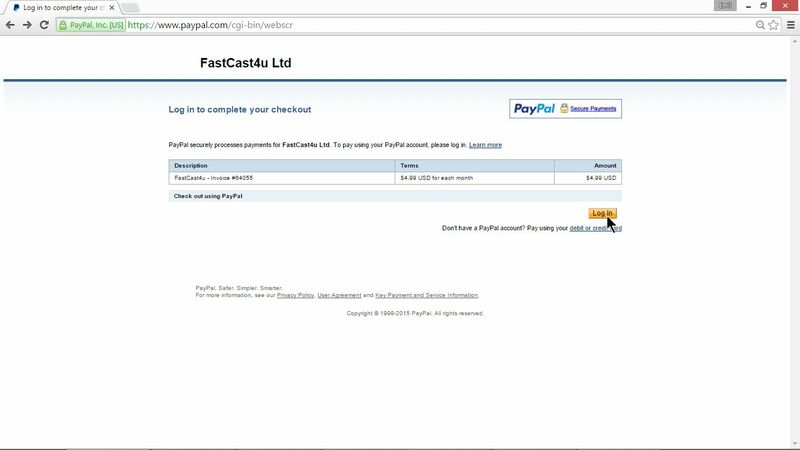 How to pay with a card through PayPal? 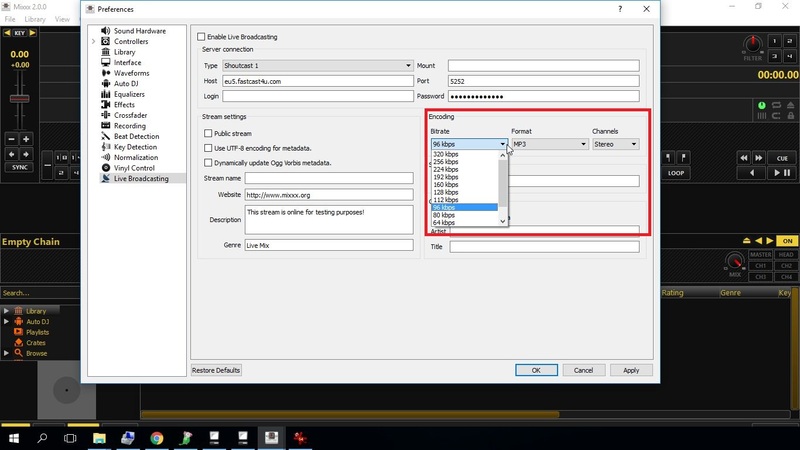 [VIDEO] How to create a custom theme for WebPlayer? 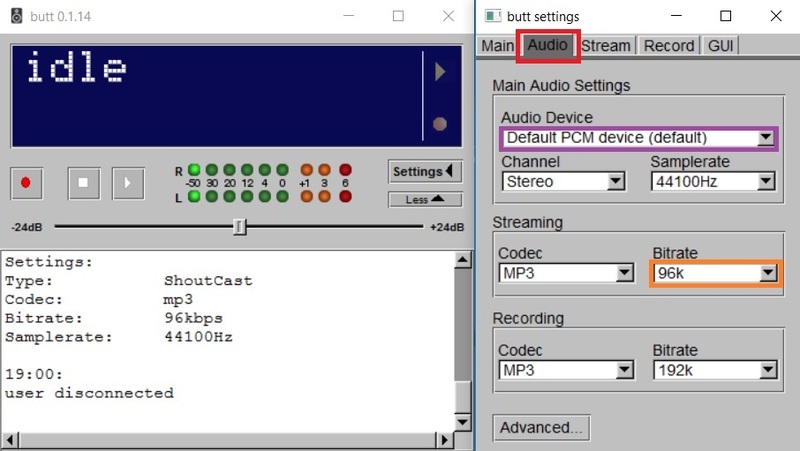 The default design of the WebPlayer doesn't fit your station? 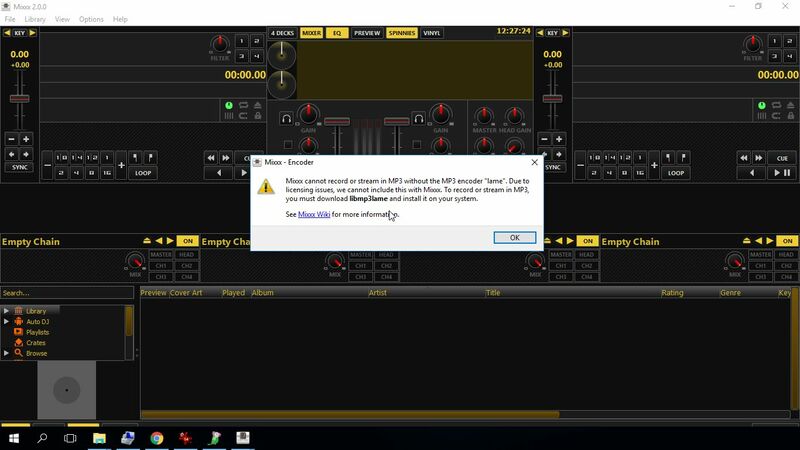 Or maybe you simply want to amaze your listeners? 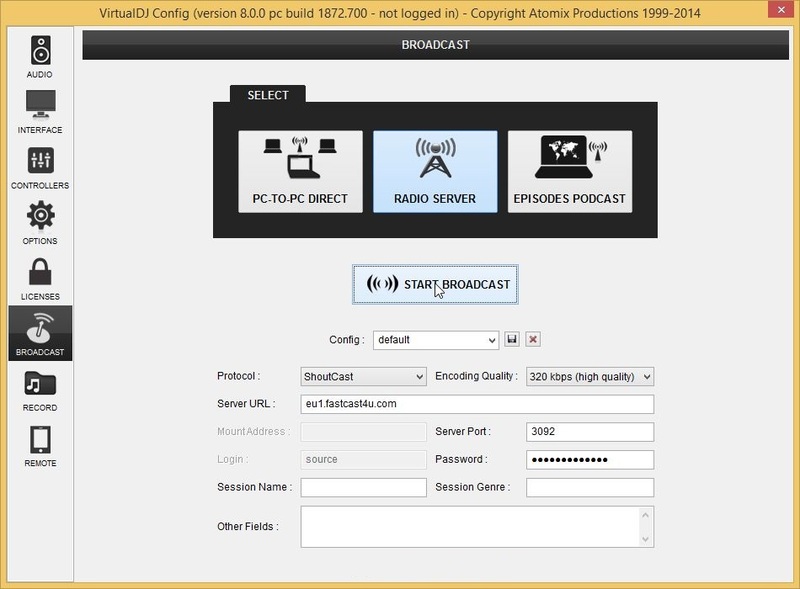 Our WebPlayer provides the opportunity to modify the themes and create custom ones. 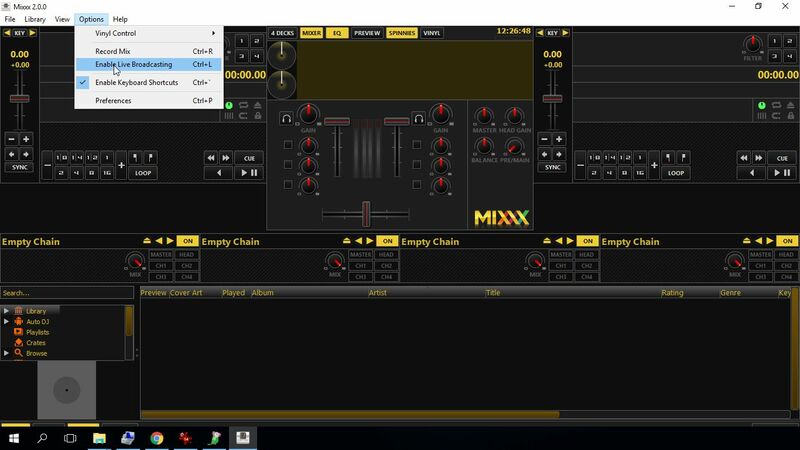 Learn how to do it, with the video tutorial below. 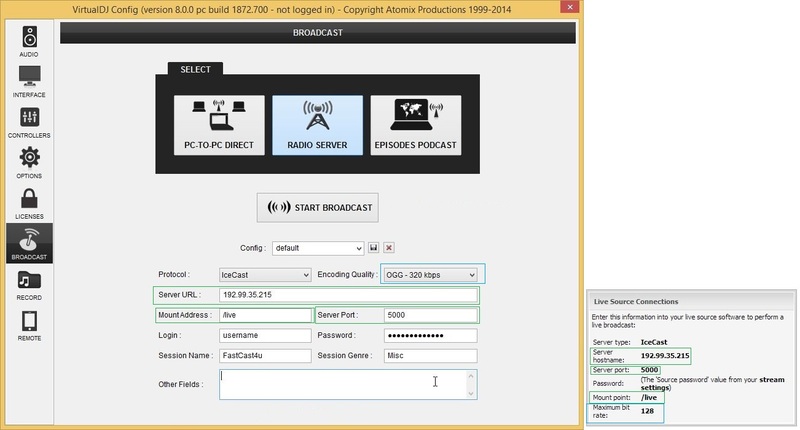 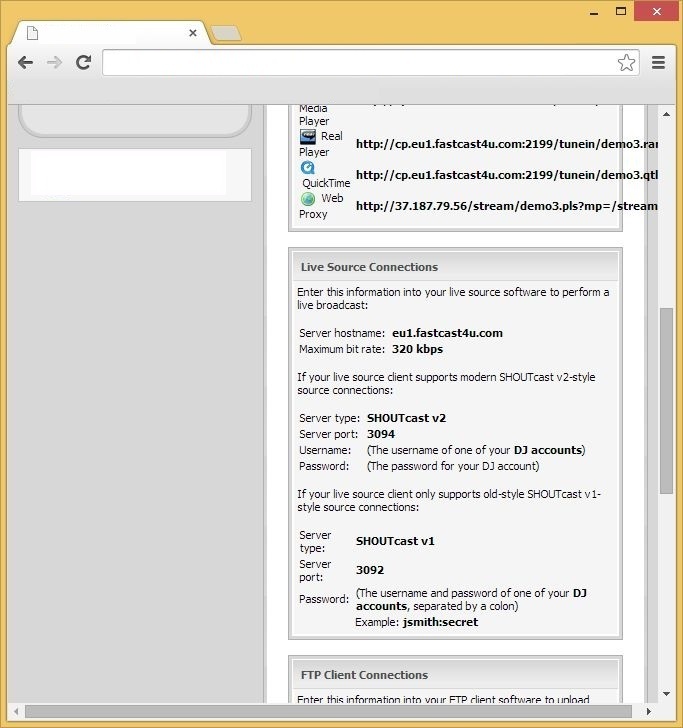 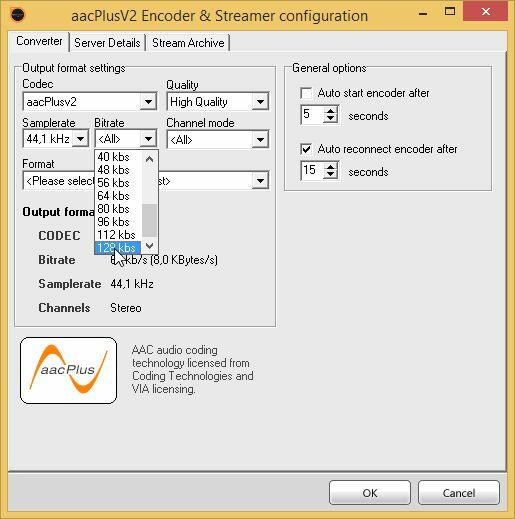 Do you assist with configuration of live broadcasting software on my PC/Mac? 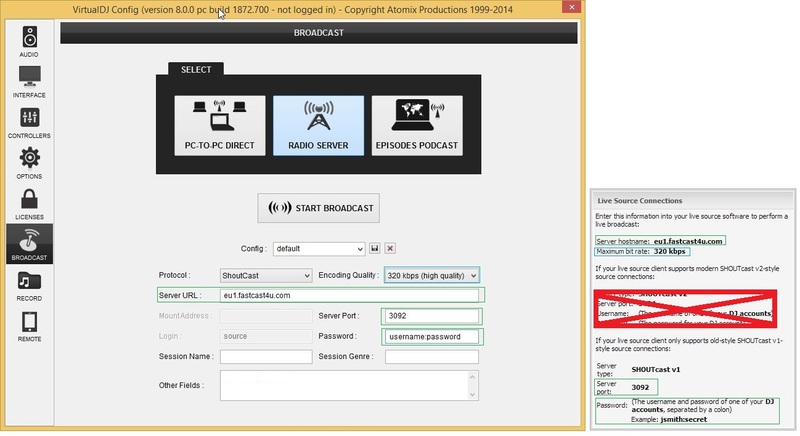 Do I need a royalties / music licence to broadcast online? Can you create a website for my radio station? 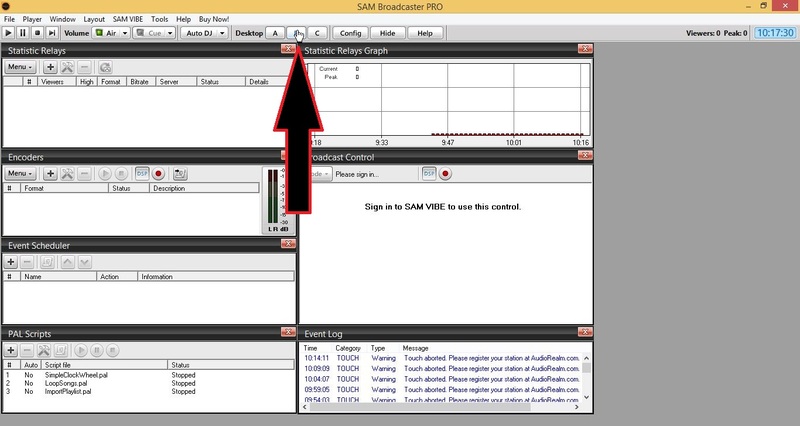 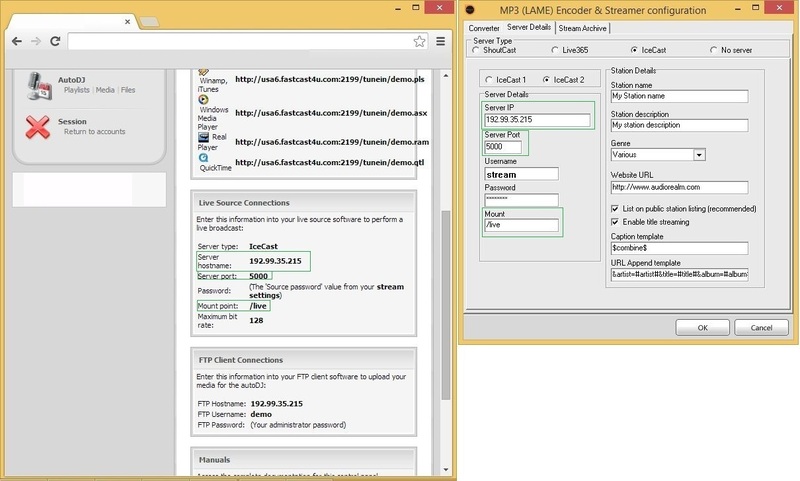 Do you offer any live broadcasting software or only servers? 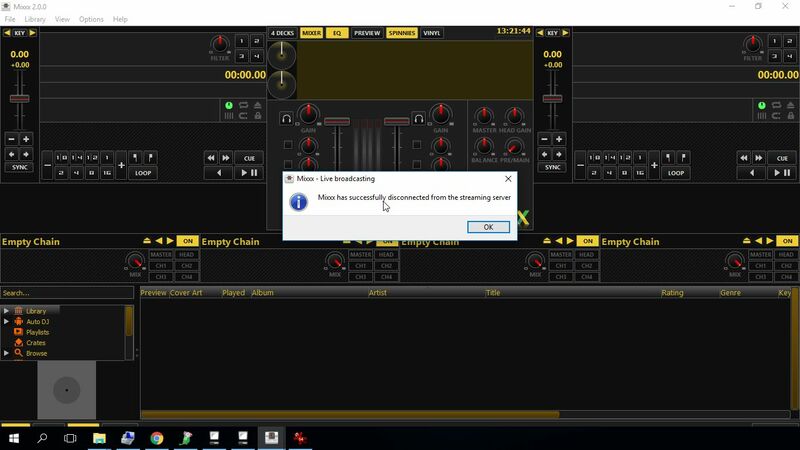 Why my scheduled playlist doesn't start on time? 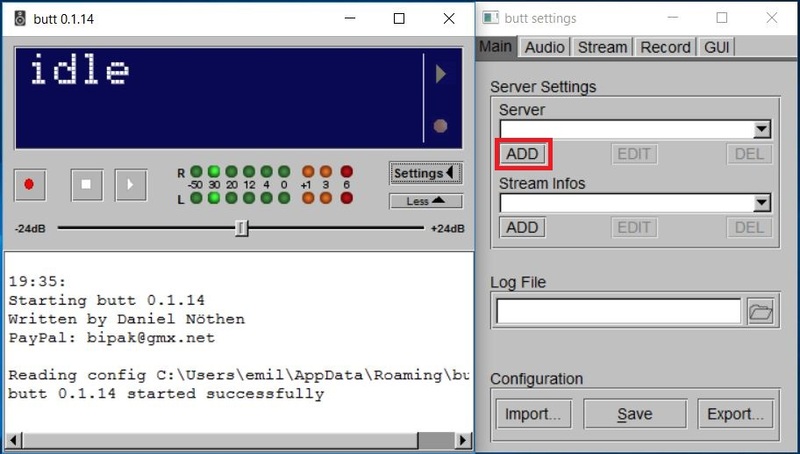 How can I receive calls from my listeners? 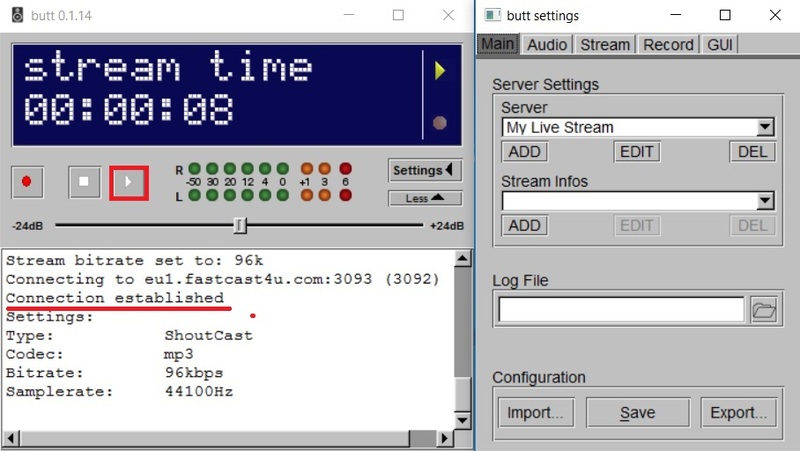 Why my live broadcast keeps cutting? Do I need to stop AutoDJ before going live? Only if you have server based on SHOUTcast v1. 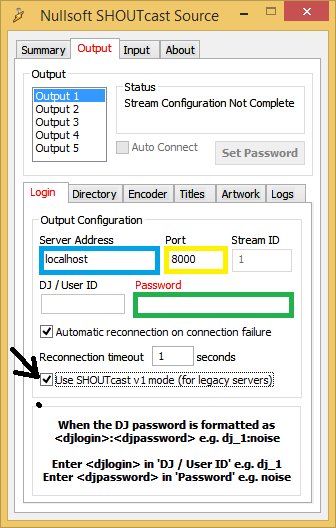 In SHOUTcast v2 or IceCast it is not necessary. 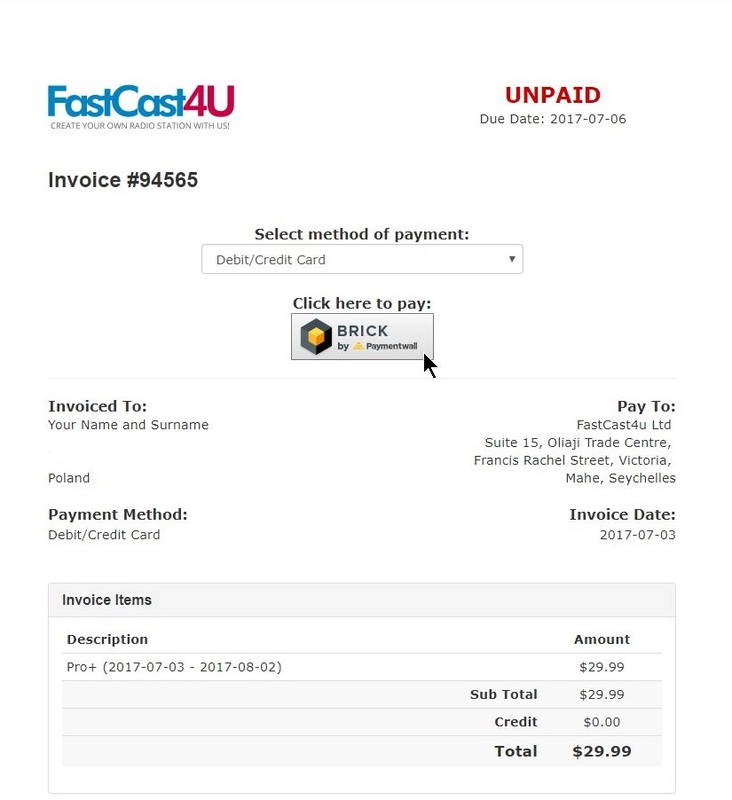 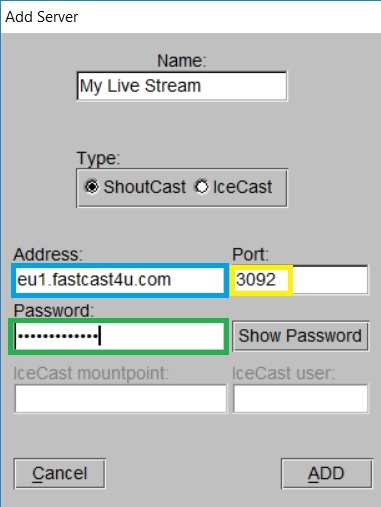 How can I contact FastCast4u Support? 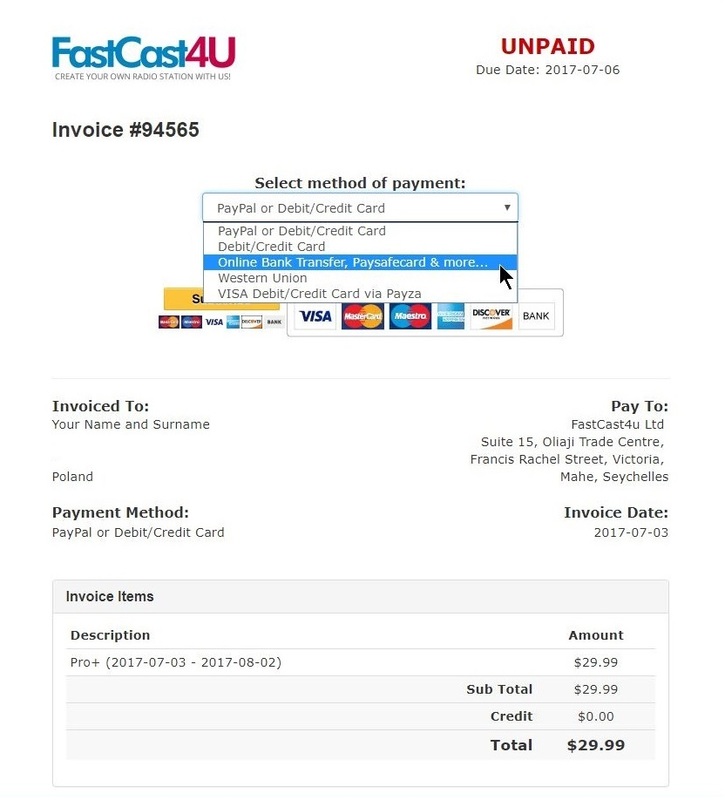 Can you activate my Service before I make payment? 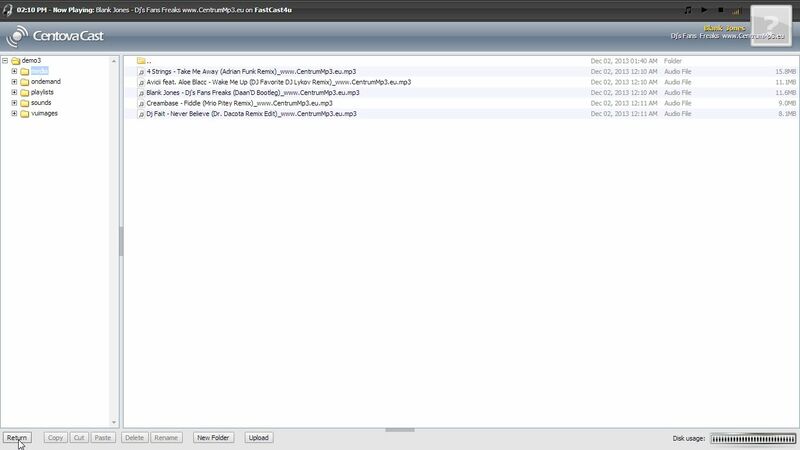 How much time does the app development process take? 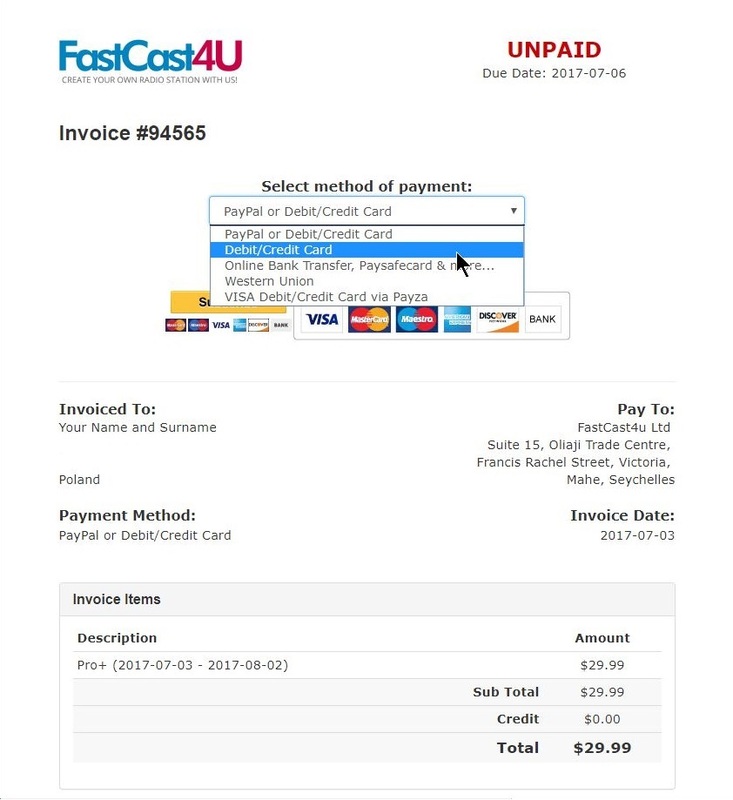 Do you provide assistance regarding website design? 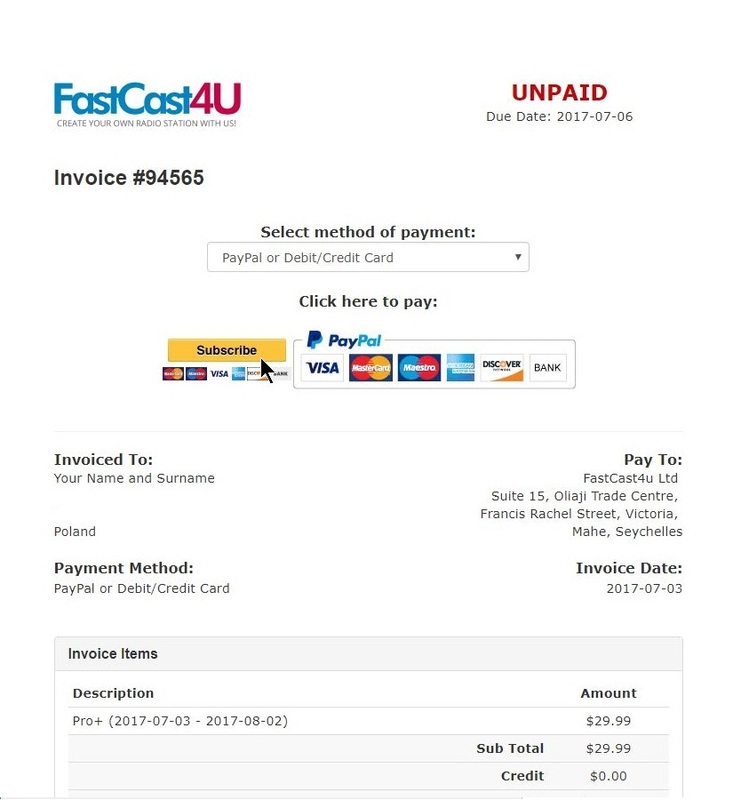 Do you collect card details? 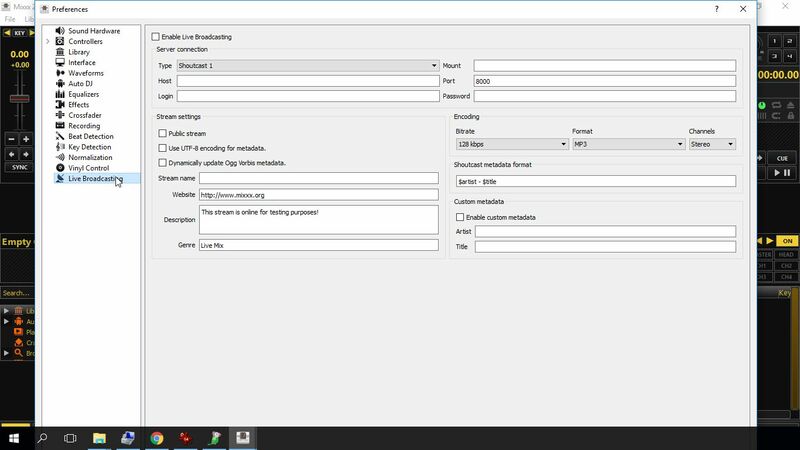 Will a subscription be created automatically? 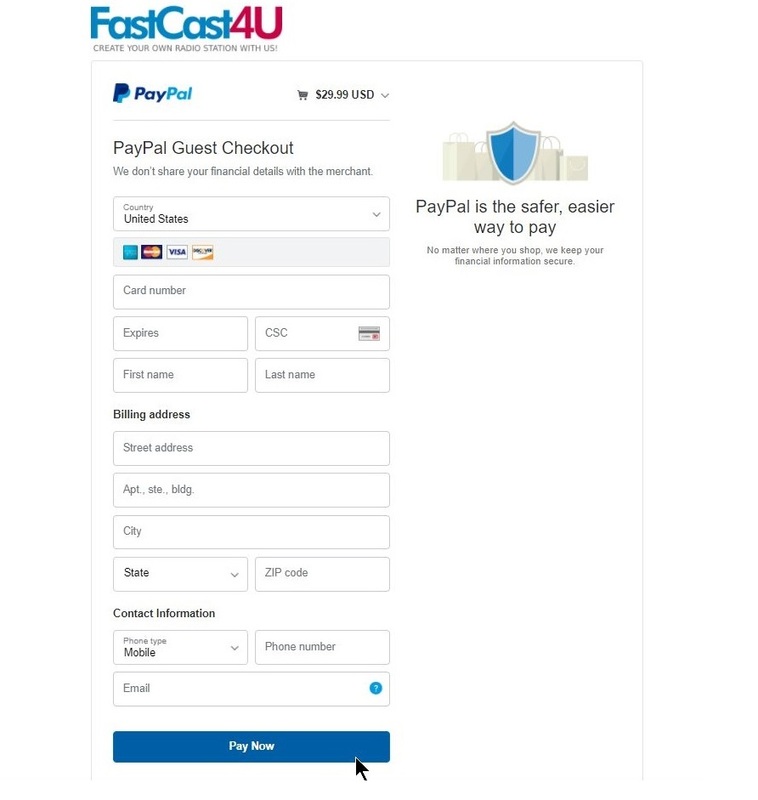 Will you charge my card automaticaly? 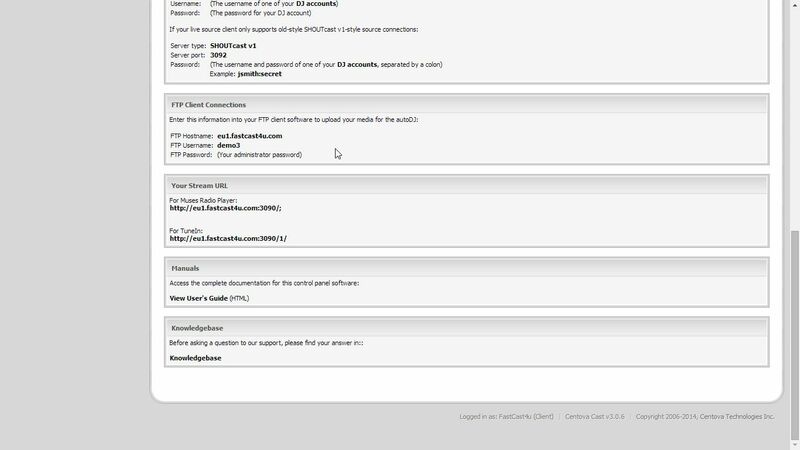 Why my is my service suspended? 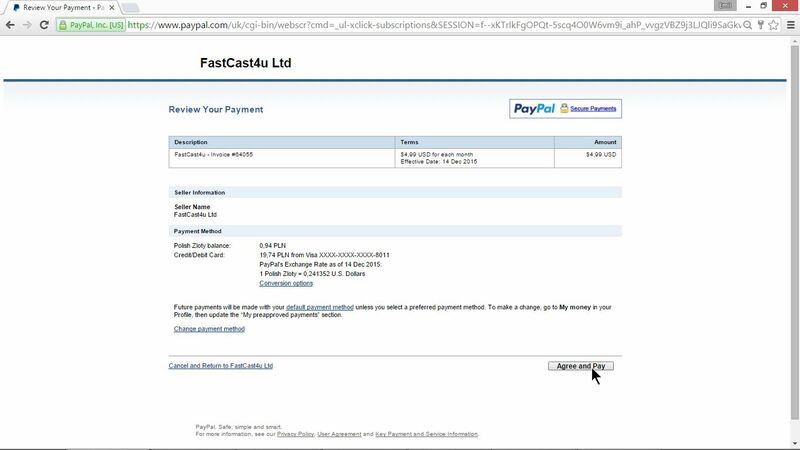 What happens If you are late with payment? 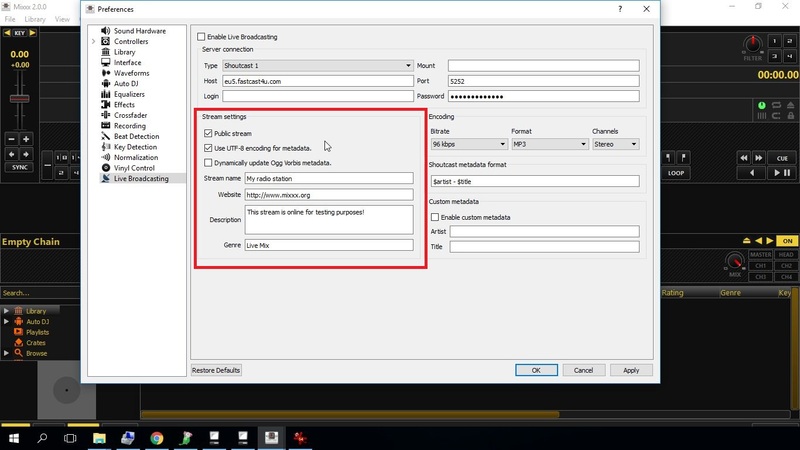 Yes, you can cancel your service at any time. 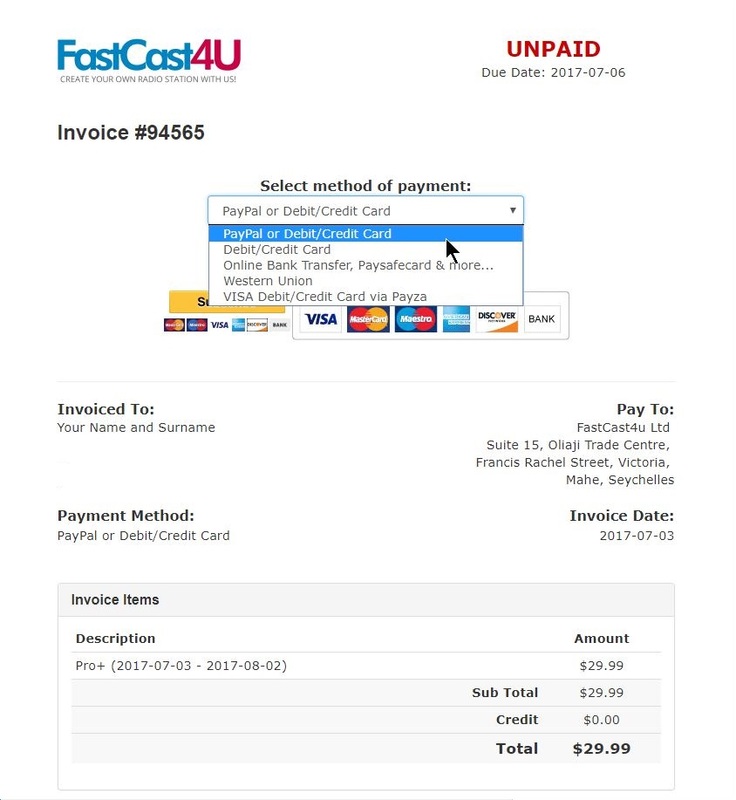 For that, you need to submit a cancellation request. 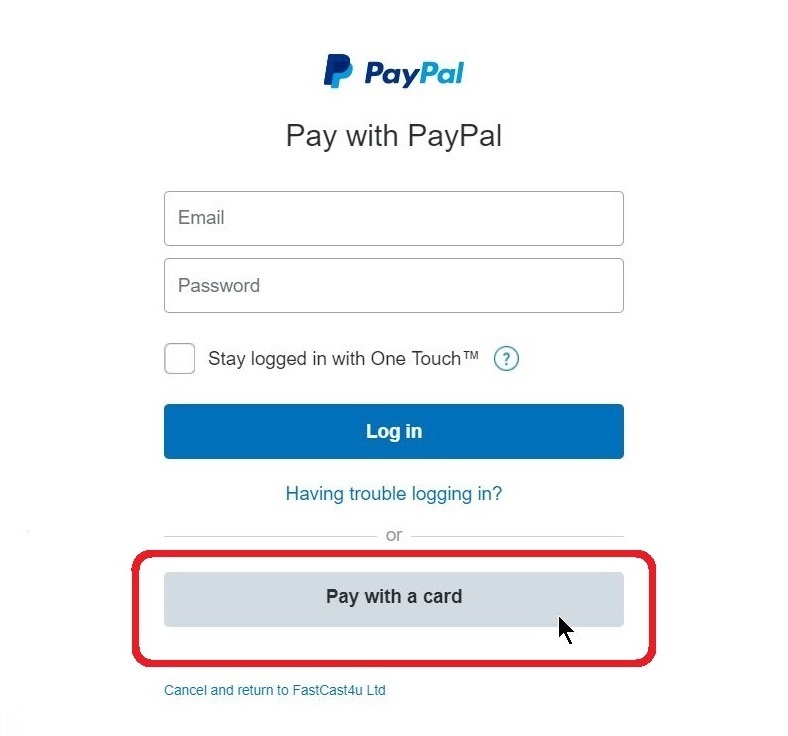 Please notice that if you cancel the Service before the end of the Billing Period you agree to lose the fee that cannot be prorated or refunded. 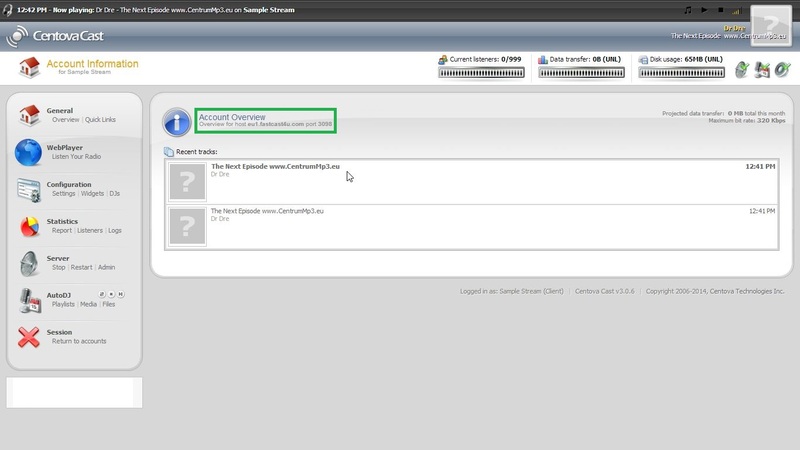 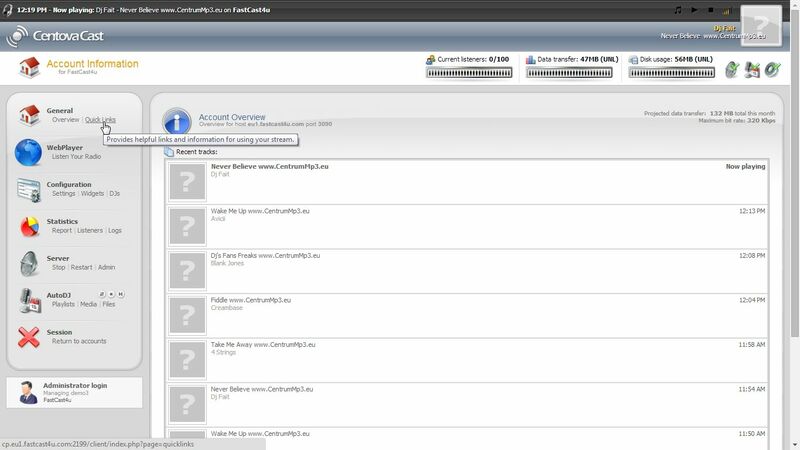 Can I use FTP account in Centova Cast to upload private files? 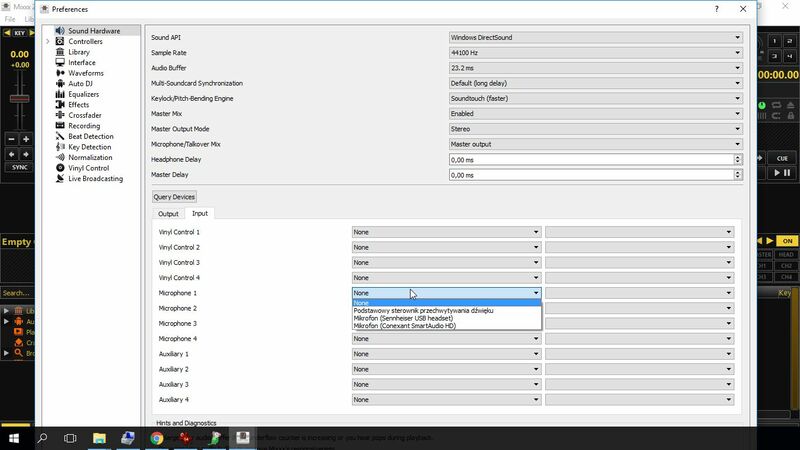 How much disc space is in unlimited package? 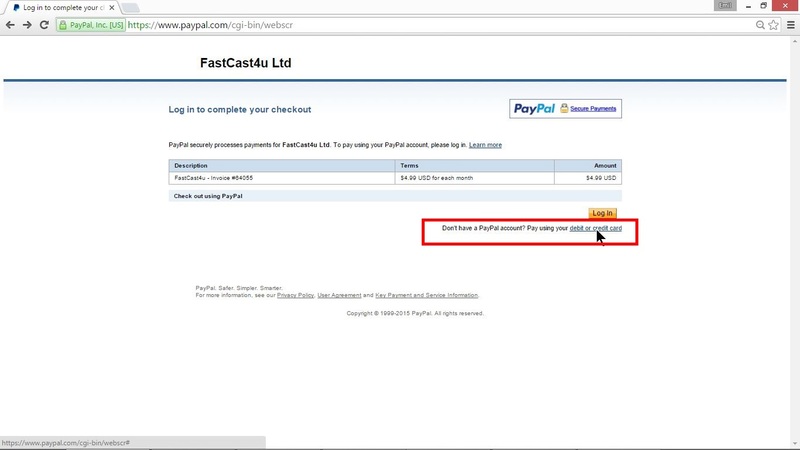 [VIDEO] How to send Push Messages through your Mobile App! 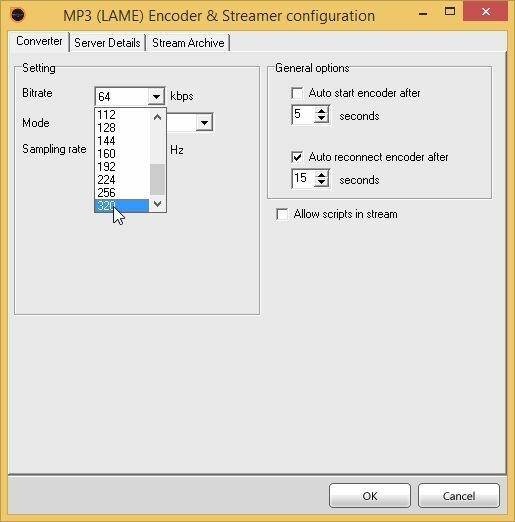 How to set up my WebPlayer? 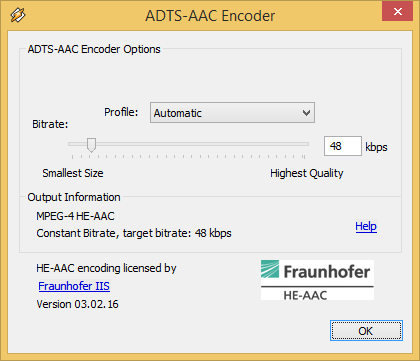 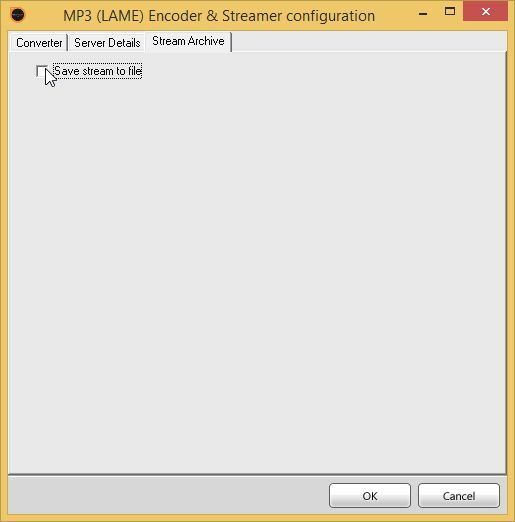 Is my Live Broadcasting software is compatible with the server? 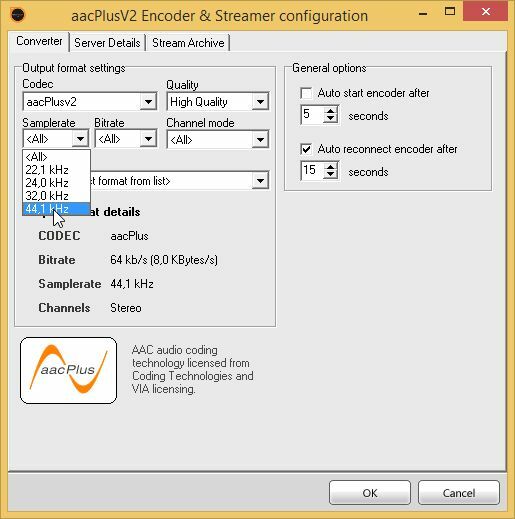 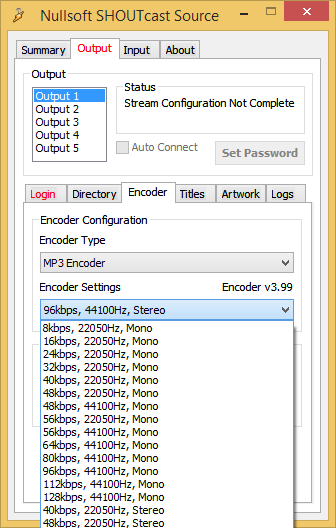 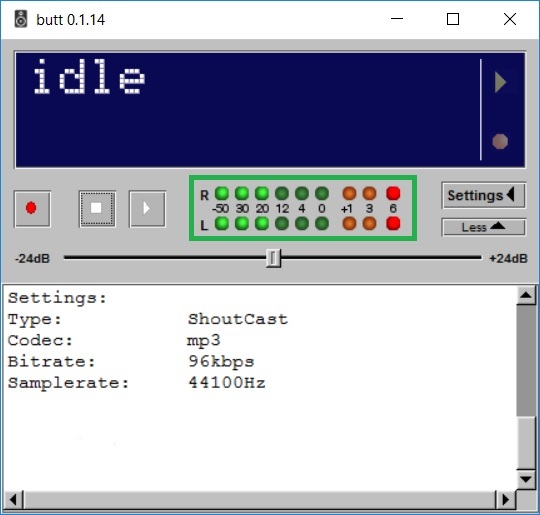 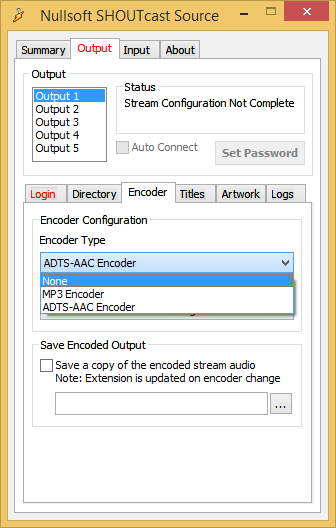 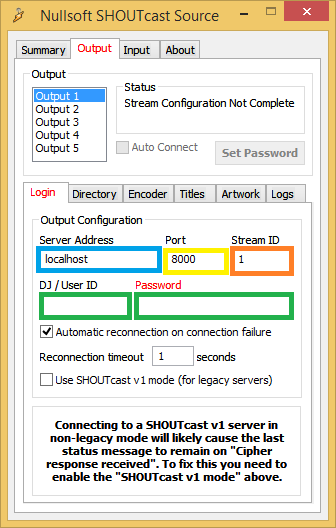 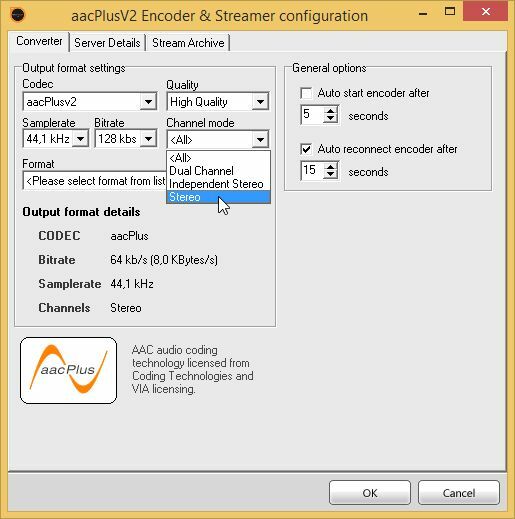 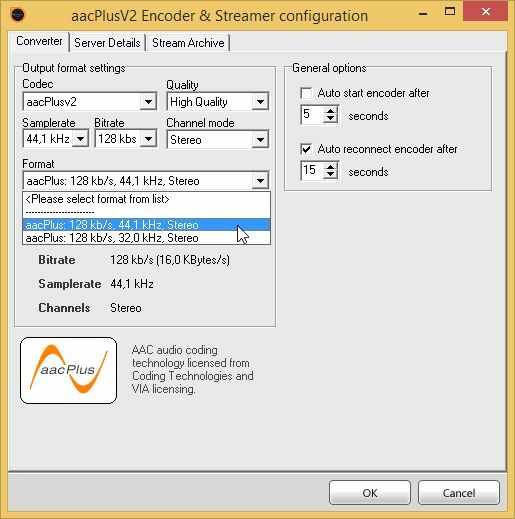 You may use any free or licensed software or streaming devices that are compatible with SHOUTcast v1, SHOUTcast v2 or IceCast. 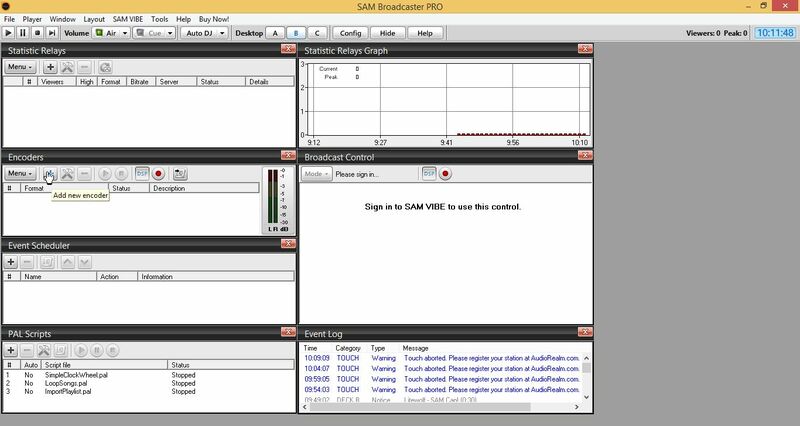 If you are not sure if the solution you want to use is supported, feel free to discuss it with our Technical Support. 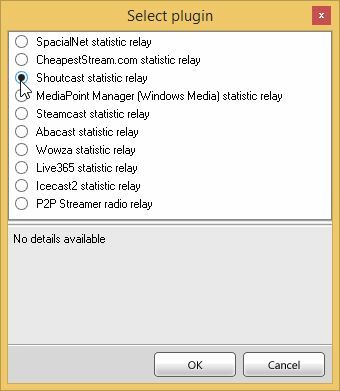 Can I stream online wihout any live broadcasting software? 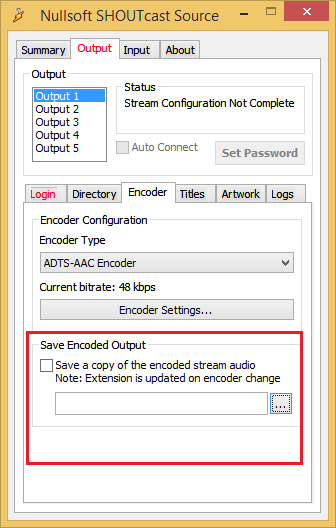 Yes, you can also stream using AutoDJ without installing any additional software - you just need your web browser to upload tracks to the server and manage your playlists online.